European-style schemes that give employers a financial incentive to rehabilitate sick staff and improve their own health and safety performance should be introduced to the UK, a group of MPs has recommended. A report by the Work and Pensions select committee warned that “exhortation” by the government would not be enough to convince employers to improve employee wellbeing. The committee pointed to a Dutch system where, in exchange for lower national insurance contributions, employers paid the first year of an employee’s statutory sick pay. “This system effectively incentivises employers to rehabilitate their staff and get them back to work,” the report said. 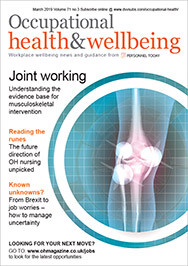 Dame Carol Black’s report on workplace health last month calculated the cost of sickness absence and other factors associated with working-age ill health to be £100bn a year. The MPs also called on the government to join forces with the insurance industry to investigate the case for linking employers’ liability insurance much more closely to an individual employer’s health and safety performance. Organisations in Germany pay contributions determined by, among other things, the number and severity of workplace accidents. A spokesman for the Association of British Insurers said the body would be happy to work with the government to identify ways in which the market could work better to boost organisations’ health and safety performance.